Download our school’s academic profile. NIST has earned a reputation for academic excellence, and our students continually outperform national, regional and global averages in the standard IB diploma examinations and SAT. The graduating Class of 2017 posted exceptional results in the IB DP exams, setting a record average score of 36.3, with 41.4% of the students earning 38 or more points, and 30.6% earning 40 or more points. Comparatively, in 2016 16.7% and 9.2% of test takers worldwide achieved those same levels. Similarly, previous classes achieved averages well above many of their peers, bringing NIST’s five-year IB average to 35. This is particularly notable in that it is the highest average among any large cohort in Thailand with nearly the full class enrolled in the DP each year. The SAT is a standardized examination offered to college-bound students worldwide, and a SAT score is required by many universities in order to complete the admissions process. Two key areas, math and reading, are measured, with an optional essay portion (as of 2016). Global averages remain relatively consistent at approximately 500 in each area. (See the College Board’s full results from 1972 to 2015 here.) NIST seniors consistently outperform these averages in both math and reading. 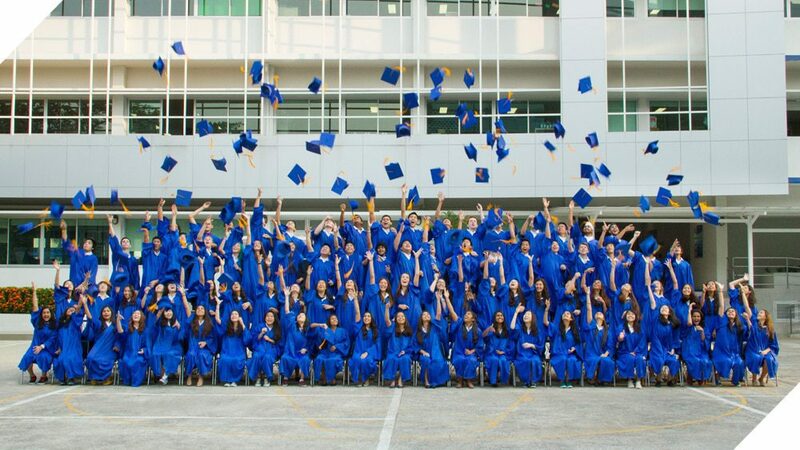 In the 2014-2015 school year, the first in which the GCD was offered, four NIST students received the GCD certificate, seven the full diploma and two the full diploma with distinction. Similarly, many members of the Class of 2016 are on track to receive one of the three by June of 2016. In May 2015 we launched a revised, comprehensive family survey that is tracked from year to year. Assessing major areas of the school—including quality of teaching, quality of learning, leadership and learning environment among others—the survey uses Likert scale items to gauge overall parent agreement in each area. The data was also analyzed in SPSS, enabling us to identify trends and predictive measures that can be integrated into the school’s strategic initiatives. The 2016 Net Promoter Score of 52 puts NIST on par with The Wharton School of the University of Pennsylvania in respect to the overall willingness of parents to recommend our school to others. In the comments section, parents consistently identified several aspects of NIST that they most valued: the school’s diversity and openness, strong community feel, teachers and leadership, and caring and safe environment.